Setting goals is the surest way to achieving something worthwhile, at least that’s been our experience. Immediately after taking over responsibility for a new neighborhood, one of the first things we help the Board of Directors and Landscape Committee do is develop 3, 6, and 12 month, or “short term” goals. With that done, we go on to help them develop 3, 5, and 10 year, or “long term” goals. We find that most people can and will do short term goal setting, but have a much more difficult time with setting long term goals. Replacing sprinkler heads on risers located where people might trip over them. Recruiting and training homeowners living near irrigation controls so they know how to turn off the backflows in emergency situations (stuck valves, broken mainlines, etc.). 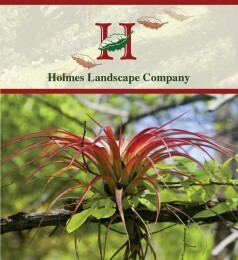 Replacing plants, trees, and ground covers that present a hazard for homeowners or property. Upgrading valves to properly match valves to controllers and valves to the plant material and exposure within their watering zone. Upgrading sprinkler heads to conform to their watering zone, to conform to the contour of the landscape, to properly service their area. Upgrading irrigation system wiring to work more efficiently and extend its useful life. Establishing irrigation and water usage profiles to thoroughly understand how much water we should be using. Replacing plants, trees, and ground covers that are inappropriate for the area they are in. Correcting landscape areas that have become over grown. Replacing sections of landscape with excessively high water requirements with landscapes that are water-economical or drought resistant without sacrificing visual attractiveness. Improving over grown, bare, and neglected landscape areas. Replacing existing irrigation systems with new, water conservative systems that will pay for themselves within the goal-setting timeframe of 2, 3 or 5 years. This might include replacing obsolete controllers with modern Et driven controllers, and re-zoning or reinstalling entire portions of the existing irrigation system. Replacing certain types of trees throughout the neighborhood with types of trees more suited to the landscape. Upgrading or adding “hardscape” features to enhance the neighborhood by enhancing its “curb appeal” and overall attractiveness.